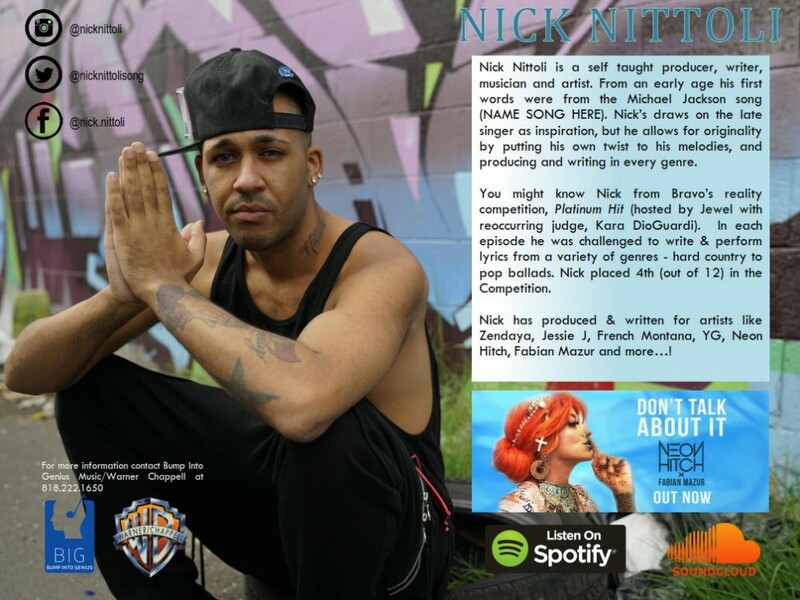 New York, Jan 20, 2019 (Issuewire.com) – Sensational producer and artist Nick Nittoli is set to release his debut single titled Gimme Da Money on Jan 19.2019, on all platforms (Spotify, iTunes etc) and is his first release for his artist project from Warner Chappell Music Publishing. Gimme Da Money is a song that will keep you at the edge of your seat and one you definitely dont want to miss. The vocals are minimal and nice. It also has baselines that punch. With rich instrumentation and a great melody, Gimme Da Money is an exemplary track that hits the spot at home on the headphones or home at the controls. Gimme Da Money promises to be a classic record. Nicks main aim is for people to enjoy the music, feel the music and most of all dance to the music. He loves being different and creating fun, and that is why Gimme Da Money will keep you jumping and dancing in the club or any place this song comes up. Music lovers will literally get chills every time they listen to Gimme Da Money. The delivery, the beat and everything about it make it a must-listen. Nick Nittoli is a self-taught producer, writer, musician, and artist. He draws on the late singer Michael Jackson as inspiration but allows for originality by putting his own twist to his melodies, and producing and writing in every genre.